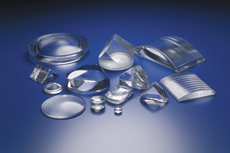 Optical glass materials and direct pressing product are fabricated in Akishima factory Tokyo, Japan and supplied to the pressed lens blanks factory(HOPT-RP) in the Kingdom of Thailand as strip bar(Extruded bar).HOPT-RP supply reheat-pressing blanks or rolled and sliced blanks to the polishing factory nearby. Direct pressed Blanks are formed by a fully automatic direct casting and process. HOYA's DP product is better. 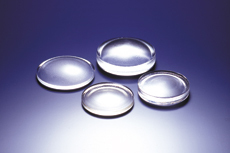 superior to its RP product in dimensional accuracy in outside diameter, thickness, etc. Re-heat pressed Blanks are formed by a manual press method using a glass cutting and glass softening process. Rolled and Sliced Blanks are formed that has been precisely rounded off and sliced. HOYA's RS product is superior to pressed blanks in dimensional accuracy. Ref / Ref glass type will be dropped in production.Please contact for any inquiry.